August and September are the months for Plums and their close relations such as the wild Bullace and Myrobalan.? Without getting too hung up about the differences, they might first be divided into two categories – those good for eating raw and those whose sharpness dictates that they need to be cooked. Secondly, they could be divided into those which grow wild and those that have been cultivated, although the categories are interlinked.? Those that grow in the wild are seldom sweet enough to eat raw and tend to be smaller than cultivated varieties, mainly stone with very little flesh. Yet it is these wild plums that are the most interesting from our culinary history point of view. Some of the plums used as hedging were of the Damson family.? The Lythe Valley in Cumbria is famous for them, but there is also the Shropshire Prune and a Godshill Damson.? Regional heritage plums include the Kea plum in Cornwall, Dittisham Plum in south Devon, and the golden Warwickshire Drooper. Also popular as hedging are cherry plums, which might be of the Prunus avium family as in Landkey, near Barnstaple on the north Devon coast. ?Here a number of varieties, known collectively as Mazzards, are grown; or the Prunus cerasifera family (Myrobalans), which can be traced back to the 1700s and were often grown as windbreaks for orchards. This wild fruit is particularly good for flavouring alcohol.? Sloe Gin is the template, but Damson Gin (or Vodka) is currently more fashionable.? One family firm, Bramley and Gage, has built their reputation from making fruit liqueurs using wild fruits.? Their plum liqueur, for example, is made from two heritage varieties – the Dittisham Plum and Blaisdon Red (from Gloucestershire). In the past, these hedgerow fruits would also have been preserved for the winter by bottling.? This old domestic technique, where the fruit is preserved by heat sterilisation, was largely superseded by commercial canning and that probably contributed to the degradation of the culinary status of plums – or maybe it was the blandness of the fruit grown for this process.? The Victoria plum established itself as the dominant commercial variety in the Victorian era and, as Jane Grigson wrote in 1982, “Victorias are for canning.? Victorias are for plums and custard, that crowning moment of the school, hospital, prison and boarding house midday meal: I reflect that Mr Bird invented his powder round about the time that Victoria plums were beginning their career.”. This is, I feel, a bit harsh on Victoria plums, still our most widely grown variety and useful both for cooking and eating.? However, I do prefer the improved variety, Avalon, which was bred at Long Ashton Research station and gives larger and fuller flavoured fruit which are easy to part from their stone. The Vale of Evesham became famous for its asparagus, but this was grown as an under-crop in plum orchards – the area was first known for the Purple Pershore Plum, at harvest time you could smell the canning factories cooking it. ?The canning industry was not confined to Worcestershire. ?Cambridge, Bedfordshire and Hertfordshire all had huge areas of plum orchards primarily for this purpose. What else can you do to preserve plums?? Being high in pectin, they make excellent jam, often suggested as the ideal beginners’ jam because obtaining a set is so easy.? However, jam is not eaten anything like as often as it was in the past, and it does rely on copious amounts of sugar as the preservation agent. Damson cheese has become popular I the last decade or so, made in the same way as the more famous Spanish Membrillo (quince cheese).? I have, however, found the pectin content more of a problem than a benefit here as it often sets too firmly, although doubtless with practice one would find the correct point at which to halt the cooking process. Pickled damsons are another favoured preservation method.? Just a spoonful makes a delightful accompaniment to cold meats. I don’t freeze plums, it adversely affects their texture.? However, the freezer does give me the option of making ice cream or sorbet, both of which are delicious when made with damsons.? Although as the texture deteriorates over time, these are best eaten quickly.? The preserving option I am currently experimenting with is drying.? I haven’t yet bought myself a dehydrator, although I think that is the next step.? Dried plums are, of course, prunes.? Those from Agen being the most famous, but there are other dried and semi-dried (mi-cuit) options. I have concentrated above on preserving the fruit because the season for eating them fresh is relatively short, although a great filler whilst we wait for the main crop of apples.? The earliest plums – Czar an early cooking plum, and Opal which has the flavour of a gage and the size and colour of a plum, can both be ready to eat by late July.? Most damsons are early August, with Victoria and Avalon plums coming in the second half of the month.? A later damson variety is Damson Farleigh, which dates from the 1800s and is very hardy, so often grown as a windbreak, usually ripening in mid-September.? 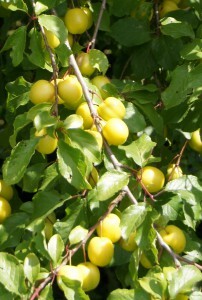 Gages, which incidentally only Britain distinguishes from plums, are considered to be better flavoured than most plums, with a delicious honey note when fully ripe – wait until they have turned from green to yellow.? 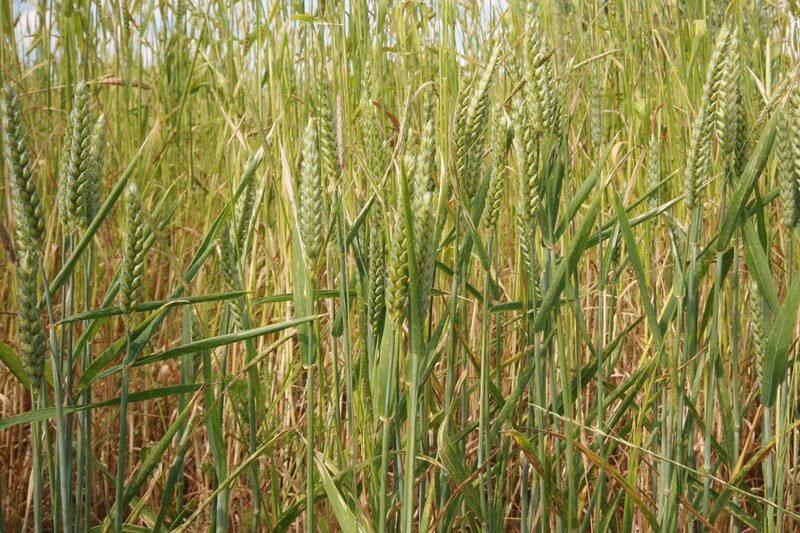 The latest of these is Coe’s Golden Drop, an C18th variety for which it is well worth waiting until the end of September. In their season, I devour the fruit fresh, bake some to serve as a compote at breakfast, with just the occasional pudding as a treat.? I can’t resist one annual plum crumble, including some cobnuts in the topping and, if there are enough to spare, one greengage tart or Clafoutis leaves me satisfied for another year. ?See เครดิต ทดลอง เล่น ฟรี 1000Recipes. This entry was posted in August - Articles, Food Culture, Food Culture Articles. Bookmark the permalink.